Whether for trade shows, retail shops, conferences, hotels or anywhere else you need top-quality flooring, raised hardwood interlocking floor is an excellent choice. This portable and modular flooring has the look of real hardwood. Best of all, they’re portable, making them easy to transport from event to event and they’re also easy to install. 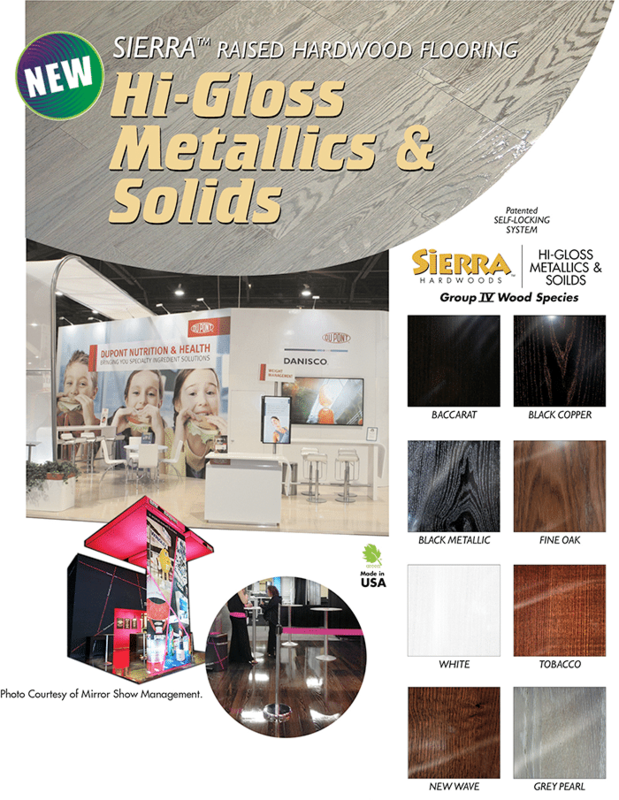 With a variety of hardwood shades to choose from, there’s something for everyone looking for a durable trade show flooring like this. 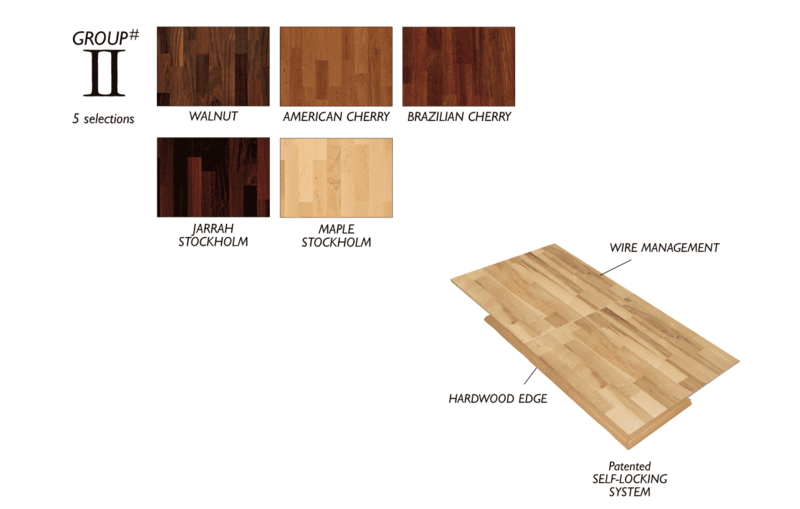 This unique hardwood flooring options uses a real wood parquet tile set that snaps into a durable and snap-together, interlocking base. This creates an easy to use and beautiful product. Hardwood interlocking flooring also offers a comfortable and anti-fatigue surface for staff members and attendees of your expo booth to stand on for long periods of time. This type of flooring is meant for indoor use only. 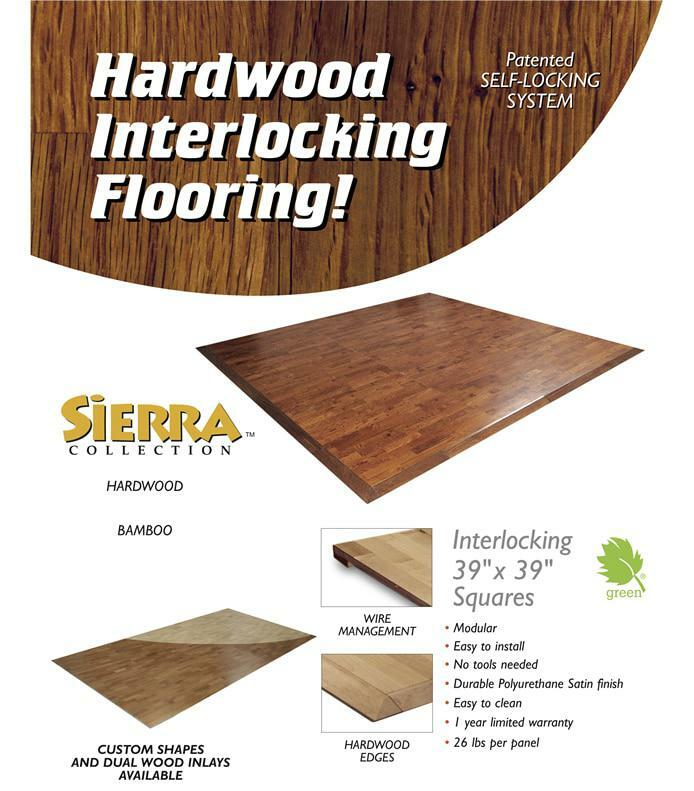 Ultimately, hardwood interlocking flooring is made for durability in high traffic environments. 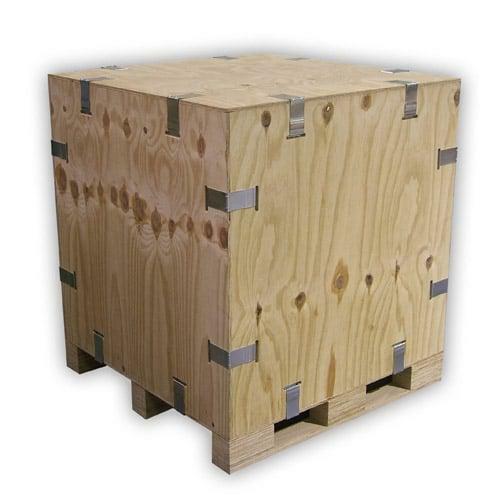 Made of a closed cell EVA foam mat construction, it is light, strong, portable and water resistant. These interlocking floor mats make a convention booth space look more professional. They also help to define a space in a busy convention hall. They’re resilient allowing you to place tables and chairs on top of this flooring without fear of creases or tears. Create your own floor mat size with custom design options. This interlocking flooring option fits together snug with no worries of it coming apart during our event. In terms of exhibition marketing, there is something to match your existing trade show accessories such as banner stands. Create a comfortable and professional atmosphere for you and your staff to stand on with hardwood interlocking flooring. For more information on hardwood interlocking flooring and what options are available for purchase, contact our professional team at Capital Exhibits today!